BERLIN -- About 2 million diesel car owners in Germany could join class action lawsuits to seek compensation from Volkswagen, Justice Minister Katarina Barley said on Wednesday. "There are estimates that some two million diesel car owners could benefit from this legal action," Barley said. Owners of cars with illegal software are allowed to claim damages only until the end of 2018 so Chancellor Angela Merkel's coalition government wants to ensure the law takes effect on Nov. 1 this year at the latest. "We are making this type of suit so public now to signal to the affected diesel drivers that they have a relatively short window in which to take their claims to court," Barley said. Environment Minister Svenja Schulze said: "This is an important instrument, especially for affected diesel drivers in the Volkswagen case." Volkswagen said the draft law didn't change the fact that it believes the claims against it in Germany are unjustified, and that it expects the vast majority of them to be rejected. 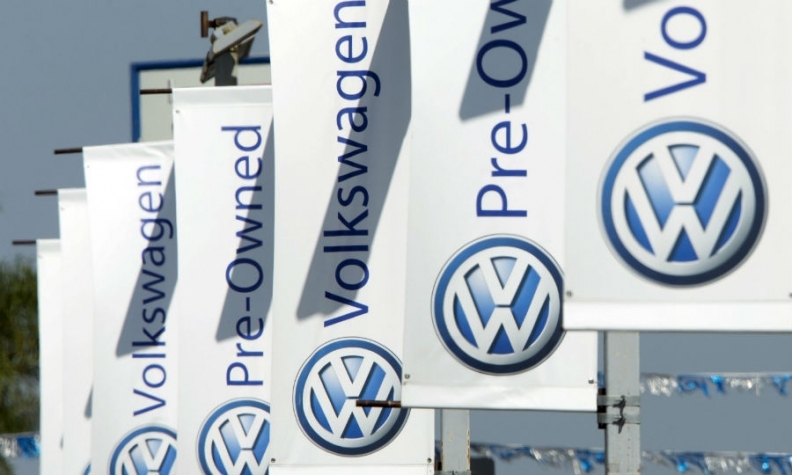 Klaus Mueller, head of the federal association of consumer protection bodies, said the Volkswagen scandal was "only the tip of the iceberg" and the draft law could help consumers to make use of their rights in many other areas.